Graphical applications require high levels of interactivity, usually measured in frames per second (FPS), which motivates the development of increasingly efficient and versatile solutions for the rendering process. Visibility culling algorithms are used to determine which surfaces (or sets of triangles) in a 3D scene are not visible from a certain viewpoint. However, the precision of this step in the graphics pipeline does not necessarily guarantee better FPS rates, since it is directly related to the number of draw calls made to render the set of triangles currently viewed. In addition, this process may be costly enough to compromise the level of interactivity that the application user perceives. 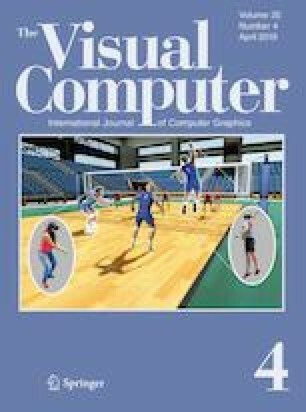 In this work, we present RHView, a solution to the visibility problem that focuses on the trade-off between visibility culling precision and the number of draw calls to achieve high FPS rates in complex scenes with approximately 650 million triangles, with both static and dynamic objects. Our approach uses both the view frustum culling and occlusion culling algorithms adapted for greater synergy with RHOctree, a spatial partitioning structure we have designed from heuristics, temporal coherence and index replication to reduce the number of draw calls. The results show that it is possible to achieve FPS rates up to thirty times higher than with some traditional solutions. Maria Andréia Formico Rodrigues and Yvens Rebouças Serpa would like to thank the Brazilian Agencies CAPES and FUNCAP-CE for their financial support, respectively, under grants 88881.120921/2016-01 and PEP-0094-00005.01.09/2014. The authors would like to also thank the referees for their valuable comments which helped to improve the manuscript.